2019 Working the AG6AU Special event station at Coloma. 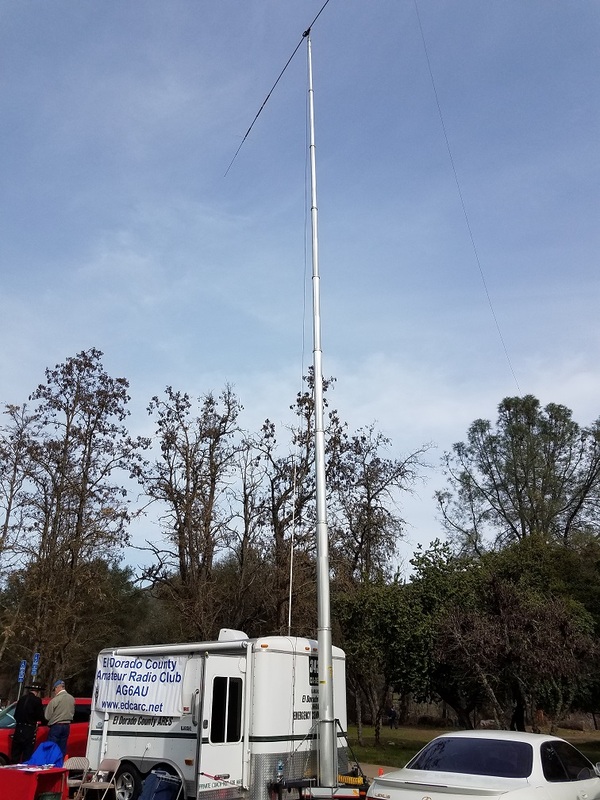 I again, arranged the for the El Dorado County ARC to operate their special event station from the Marshall Gold Discovery State Park in California. We operate under the club call of AG6AU from our ARES trailer. We ran about 400 watts into a rotatable dipole at 70 feet. We worked 40M and 20M and worked 657 contacts. The weather was great and lots of visitors poked there head into the trailer to see what we were doing. It's a fun event that gets lots of my club members involved and shows off the hobby to the general public.